Maintenance services for every season — and everything in between. With over 25 years of experience, Nu Image offers a complete range of maintenance services for our clients, including general property maintenance, landscaping, lawn care, asphalt repairs, lot maintenance, snow and ice management, and more. Nu Image was established in 1993 by a team of experienced property maintenance professionals, who wanted to provide superior quality services to cater to the specific needs of larger commercial clients. 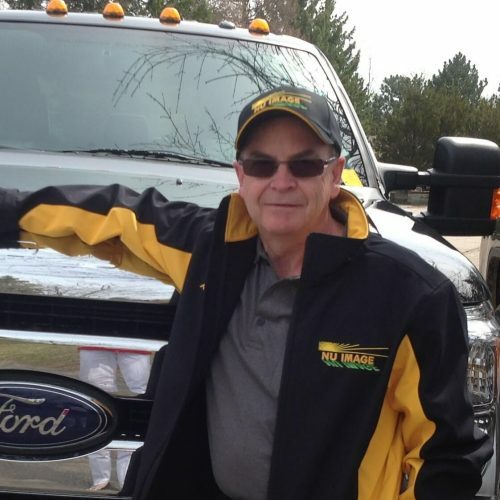 Founder Douglas L. Seager established the business with the vision of providing innovative solutions to meet the evolving maintenance needs of commercial clients. He and the Nu Image team achieved this goal by hiring full-time and professionally-trained staff, using modern techniques and equipment, and implementing an ongoing review of service delivery. Since its founding, Nu Image has remained committed to consistent quality control and high service standards, delivering world-class results to its clients. This approach has lead to long-term relationships with such notable organizations as Walmart, Canadian Tire, Shoppers Drug Mart, MF Property Management, and Bentall Kennedy. At Nu Image, we pride ourselves on our professional approach to landscaping and property maintenance. Part of what sets us apart is our commitment to ongoing training and professional development for our team of dedicated, full-time employees. Doug is the Founder and President of Nu Image. 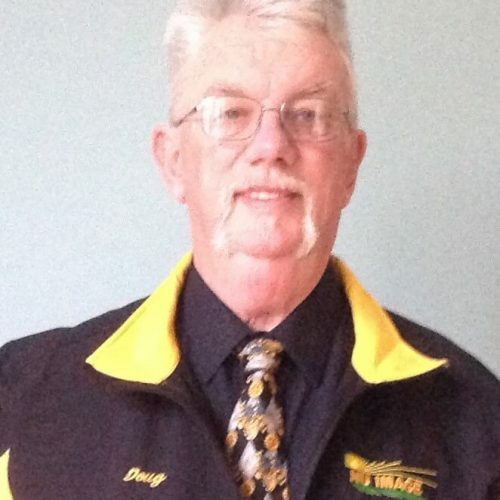 Prior to his career in the property maintenance industry, Doug served as an Emergency Medical Communications Officer and Coordinator during the development of the Ambulance Services Branch of the Ontario Emergency Health Service. During this time, he gained extensive expertise in the handling of unexpected emergency situations and planning for future situations. 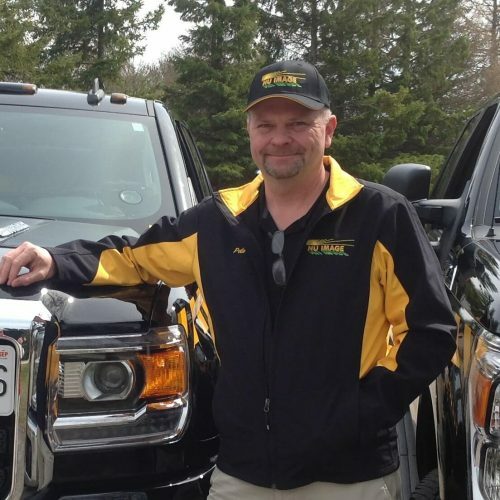 Doug began his first business providing weekly lawn maintenance to industrial and commercial properties. Within a few years, he had a thriving business that provided year-round property maintenance. Richard is Vice President of Operations with Nu Image. Richard joined the company in 2012 as a branch manager and rose to the position of Vice President as a result of his dedication and knowledge of turf management, weed control, and industry standards. Richard is responsible for the field operations for the company. With a background in project management and business analysis, Richard coordinates and manages the operations team as they fulfill the daily needs of our customers. For our customers, Richard provides a point of contact for onsite meetings and site requirements, as well as ensuring our commitments are met to everyone’s satisfaction. Janet is a Certified Horticulturalist with Nu Image. Janet has a wealth of knowledge regarding plants, shrubs, trees, and weeds. 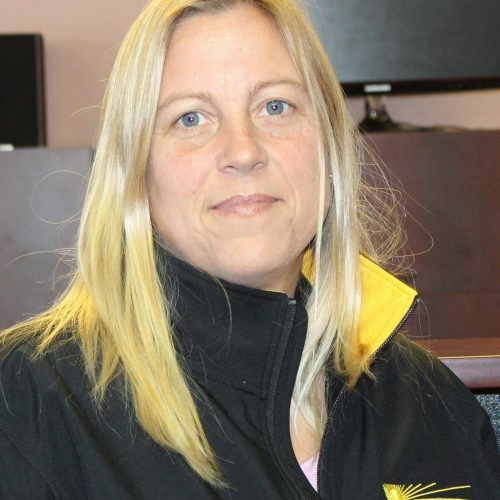 She coordinates the garden crews, offers customers recommendations on revitalizing existing gardens, develops designs for the garden installations, and provides our customers with advice on plant health and any other plant-related concerns. Janet has been working with Nu Image since 2012. She holds a Bachelor of Science degree and has over 10 years of experience growing perennials, shrubs, and hydroponics. She owned and operated her own nursery and has been involved in the gardening industry for much of her career. Janet takes particular interest in native plants and the development of butterfly and pollination gardens. Carolyn is the office manager at Nu Image. 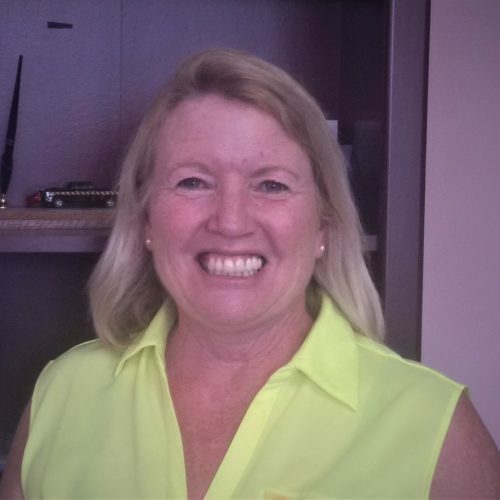 Carolyn began working for the company after completing her Bachelor of Arts degree and has been working with the company for the past 17 years. As a long-term employee, she has established strong relationships with many of our customers and has a wealth of knowledge regarding Nu Image’s procedures and practices. 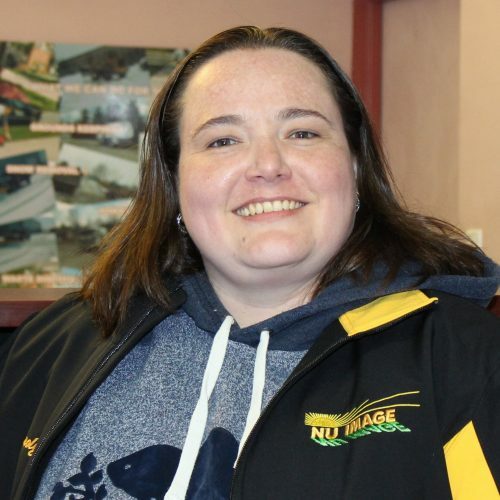 Deanne is the administrative assistant at Nu Image. Deanne joined our team almost two years ago in a supporting role for the office staff. She is usually your first point of contact for the office, answering the phone and providing customer service help. Deanne has a varied background that she draws upon in her current role to help with a number of tasks. She has a delightful sense of humour and has proven to be a wonderful asset to the office and our customers. Kevin is a branch manager with Nu Image. 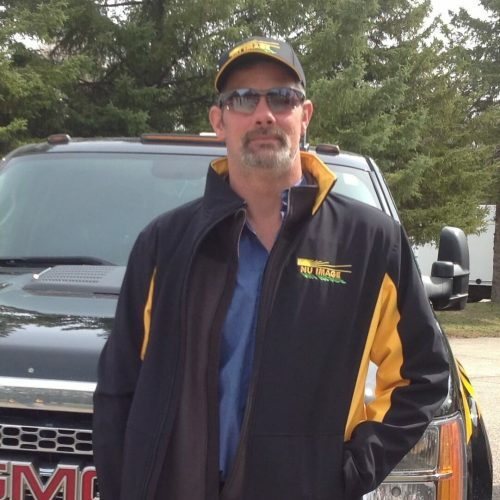 Kevin has been working in the lawn maintenance industry for almost a decade and has been with Nu Image for 7 years. He works mainly in the north end of Guelph and Fergus. Kevin oversees two crews that provide regular, weekly maintenance during the summer months. During the winter, you may see Kevin in a plow truck or at work supervising salting and sidewalk-clearing procedures. Peter Mitro is a branch manager with Nu Image. Peter comes from a background in law enforcement and has been with Nu Image for the past two years. Peter and his crew are often seen in the south end of Guelph. He works year-round for Nu Image, providing regular weekly lawn maintenance as well as snow and ice management during the winter.